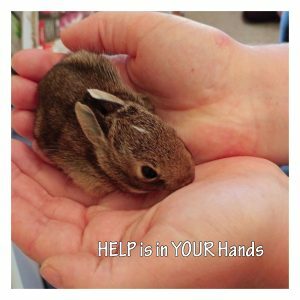 Do not remove infant or orphaned animals from their nest unless you are SURE that they are truly injured or orphaned. To help you be sure, check the information below or call us at (905) 729-0033. If you have rescued an injured or orphaned animal, place it in a covered box but do not feed it anything unless advised to do so by a wildlife custodian. There might be an injury that could be worsened by eating. You may place a shallow dish of water in the box but nothing deep, as an injured animal can drown easily. 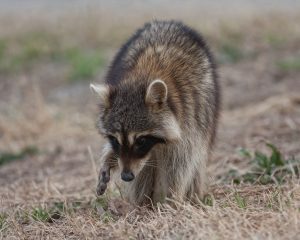 When bringing rescued animals to Procyon Wildlife or a designated drop spot, do not travel with your pets or a loud radio in the car. The trip will be difficult enough for the animal without any added stressors. If you have encountered a wildlife animal in distress which is not shown on the list below, please call us for assistance and guidance. Birds of Prey: Owls, Hawks, etc. * Coyotes, Bear, Cougar. Please call the Ministry of Natural Resources.